Allan Besselink is my physical therapist. I recently injured myself as a result of getting two dogs. I sought Allan's help to figure out what the injury was, how to fix it, and to make sure it wouldn't hinder my training. The first visit involved an extensive list of questions to pinpoint the problem, cause, and severity. Next he put me through numerous exercises to determine the exact movements that caused, as well as, alleviated pain. He was immediately able to understand the problem and offer a treatment plan. He answered all my questions and assured me we could work together to correct the injury. The treatment involved simple, easy exercises I could do at home. These exercises were intended to help my body heal itself, get rid of pain, improve range of motion, and strengthen muscles. After a few days of following his plan, the pain began to decrease and my range of motion improved. I didn't have to take drugs, have surgery, or stop my daily training regimen. 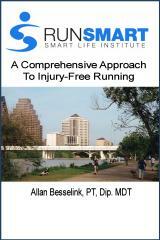 Allan's expertise as a coach, is only matched by his expertise as a physical therapist. I trust him completely and highly recommend him to anyone.